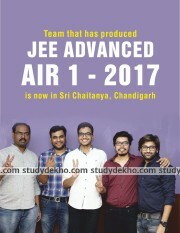 A.K.Vidyamnadir, located in sector 36-D Chandigarh, is one of the top institutes which provides coaching for engineering and medical examinations. 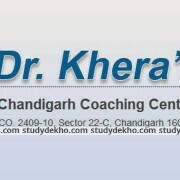 The Institute who has a newly made branch in Chandigarh. The teaching faculty comprises of well experienced and well dedicated teachers. The study booklets provided to the students is well written and simplified for better understanding. 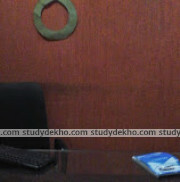 The students get a competitive environment at the institute. The exams held is tough and helps students to get to know their weak points. A detailed understanding of the subjects is made which helps the non medical as well as the medical aspirants crack JEE main and Advanced and AIPMT respectively. 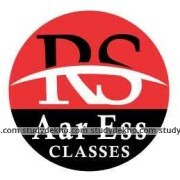 The success rating of the institute has made it now the top institute in Chandigarh. Faculty is fine bit management is poor. Transport system is inefficient. this institute is the best institute. the faculty is very good. teaching method is very good. Friendly and helpful teachers, regular doubt sessions. teachers are helpful but its still better to go for individual tutions. institutes are not much beneficial. In comparison to today's scenario of education parameters akv lies very low. No one will be doing +1 & +2 again and again so I would say give ur best shot for the first time itself. And prefer individual coaching institutes instead of institutes like allen, AKV,Bansal,etc. Both have their advantages and disadvantages but according to me go for individuals. Moreover, this depends on the student. Nice faculty...but management is not efficient.. The teachers of this institute are very co-operative.Doubt sessions are held regularly and tests are held every fort night.